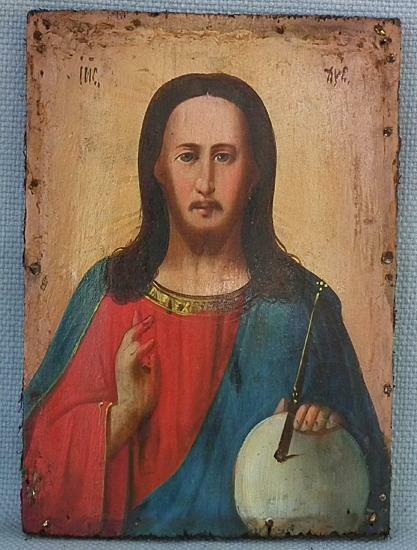 Authentic antique, 19th century, finely hand painted on a wooden panel, Russian Orthodox Icon of The Christ Pantocrator. 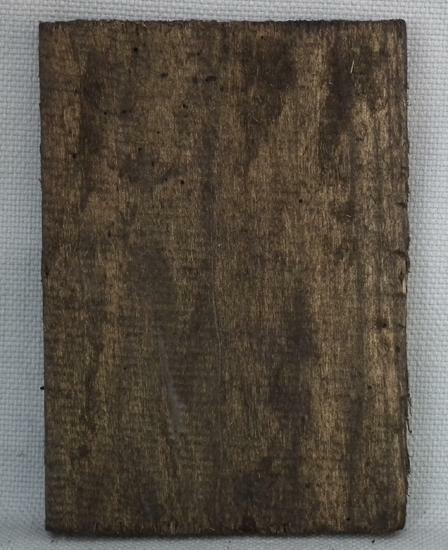 MEASUREMENTS: 17.5 cm x 12.5 cm (6 7/8 in x 4 7/8 in). CONDITION: The icon is in the original good condition with a nice old patina. The border with remains of the iron nails, which previously held on oklad in which the icon was originally encased. Some flakes and scratches in the paint. No repairs or restorations. 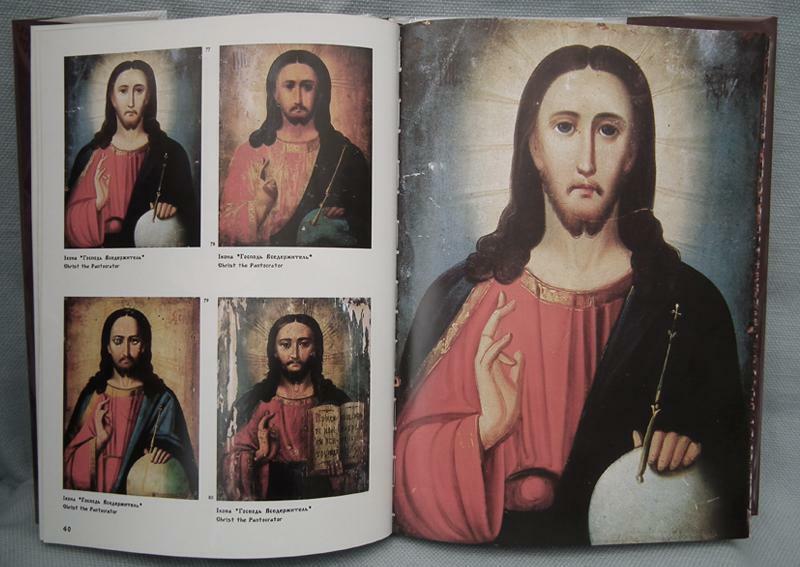 For similar Russian icons of The Christ Pantocrator, please see the pictures from the Russian reference book, attached to the listing.